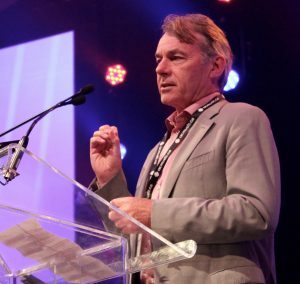 On April 21, 2017, Music Canada President and CEO Graham Henderson delivered the opening keynote at Canadian Music Week‘s Global Creators Summit, highlighting the growing issue of the Value Gap for music creators. In “The Broken Promise of a Golden Age,” Graham urges artists and creators to stand up for what’s theirs, and use the power of democracy to generate positive change for the creative community. Following CMW, the speech was featured on FYI Music News, and the full recording, initially live-streamed on Music Canada’s Facebook page, can be viewed below. Canadian creators are encouraged to join the Focus On Creators initiative and sign the letter to The Honourable Mélanie Joly, Minister of Canadian Heritage, urging government to put creators at the heart of future policy. Canadian Music Week 2017 kicks off Tuesday, April 18, for a week of unforgettable shows across Toronto, along with dozens of panels and workshops scheduled at the Sheraton Centre. Music Canada is thrilled to join the festivities as a supporting sponsor, with members of our organization appearing on several panels throughout the festival. Richard Pfohl, General Counsel to Music Canada, will join Mitch Glazer (RIAA), Martin Ajdari (Ministry of Culture, France), Gilles Daigle (SOCAN), and Casey Chisick (Cassels Brock & Blackwell LLP) for the CMW Copyright Summit, moderated by Emmanuel Legrand (Music Week). Richard’s expertise in the subject of copyright law comes at a crucial time, as the push towards legislation supporting creators continues to take steam with initiatives like Focus On Creators. Music has the ability to bridge cultural and social divides, and at this year’s Global Forum, Indigenous artists will discuss the power of music and its ability to unite, inspire, and heal. Sponsored by Music Canada, the panel will feature a keynote by Polaris-winning throat singer Tanya Tagaq, who will join a panel with JUNO-winning artists Susan Aglukark, and Bear Witness of A Tribe Called Red. The panel will be moderated by conductor and advocate John Kim Bell, and the event will feature a performance by experimental R&B artist isKwe. Gord Downie’s brother, Mike Downie, co-creator of album and graphic novel Secret Path, will also join the panel to discuss the multimedia project on the devastating legacy of residential schools. The CMW Global Forum Networking Breakfast is invite only, and will run 8:45am – 11:00am at Osgoode Ballroom East. 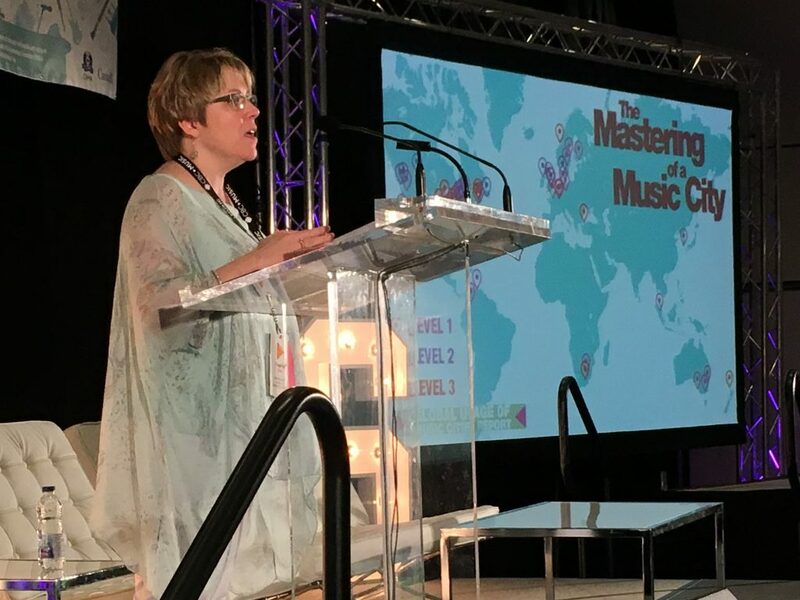 Music Canada’s Executive Vice President, Amy Terrill, will host the second CMW Music Cities Summit, an all-day event that will explore in-depth the relationship between creative city planning, quality-of-life, and the music industry. The event was inspired first by Music Canada’s report on Toronto’s 2012 Music City initiative with Austin, and directly by Music Canada and IFPI’s internationally-acclaimed report The Mastering of a Music City, Key Elements, Effective Strategies and Why it’s Worth Pursuing. Toronto Mayor John Tory will appear at the summit for the second year in a row, sitting in on the Music City Leader’s Panel along with Albuquerque Mayor Richard J. Berry, former Nashville Mayor Karl Dean, Filippo del Corno (Milan, Italy), Maria Claudia Lopez Sorzano (Bogota, Colombia) and Manon Gauthier (Montreal). Several members of the Toronto Music Advisory Council will also participate in the summit, including council co-chair Andreas Kalogiannides, who will join the Music Ecosystem Panel, and Councillor Josh Colle, who will moderate the panel How To Work With The Development Community. Registration for the summit is still open. At 1:50pm, Music Canada’s President & CEO Graham Henderson will provide the keynote at a panel titled “How Significant is the ‘Value Gap’ and How Can It Be Fixed?” in Sheraton Hall C. Panelists include Eddie Schwartz (President Emeritus, Songwriters Association of Canada), Neville Quinlan, MD (Peermusic Canada, Canadian Music Publishers Association), and Suzanne Combo (CEO, Guilde des Artistes de la Musique, France). Canadian Music Week has provided a convenient Music City guide for music fans who are new to the city, and the full schedule of music is now available. 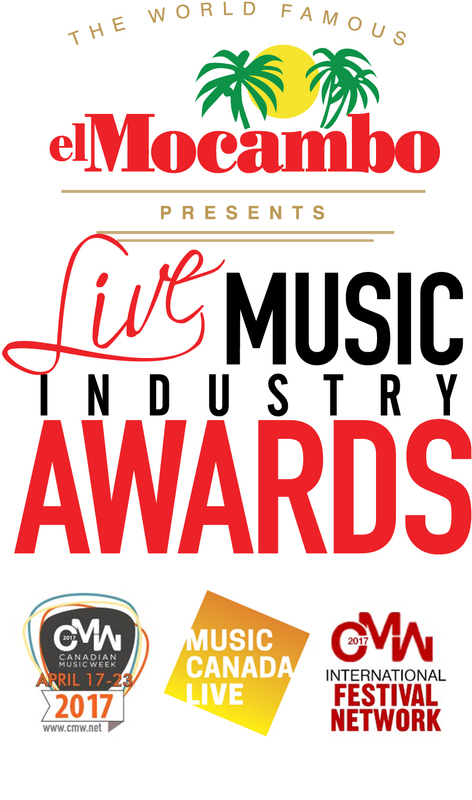 Music Canada Live and Canadian Music Week (CMW) have announced the second annual Live Music Industry Awards, presented by El Mocambo, will be taking place Wednesday, April 19, 2017, from 4-6pm at the Sheraton Centre Toronto Hotel. The Awards will be held during CMW 2017 and will recognize and celebrate the best of the live music business sector. “Last year the first-ever LMIA’s proved beyond a doubt that we have much to celebrate, by acknowledging lives’ incredible contributions to the industry. This year, we continue to shine a spotlight on this passionate and dedicated community – one that works tirelessly to put artists and fans together. This effort is at the heart of what Music Canada Live is about, and we are thrilled to co-present the second annual LMIA’s in 2017 with CMW on behalf of our members and Canada’s live music industry,” said Erin Benjamin, Executive Director of Music Canada Live. 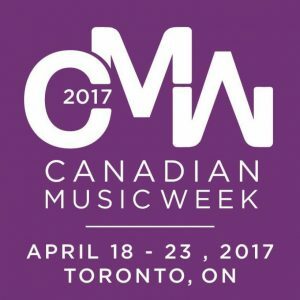 In addition to the Live Music Industry Awards, Canada’s live sector will be in greater focus during CMW 2017 with an expanded, 2-day Live Music Summit, running from April 19-20. Visit the Live Music Industry Awards website for more information, including criteria and previous winners, or to submit nominations for 2017’s awards.